It’ll be their biggest tour in 18 years! 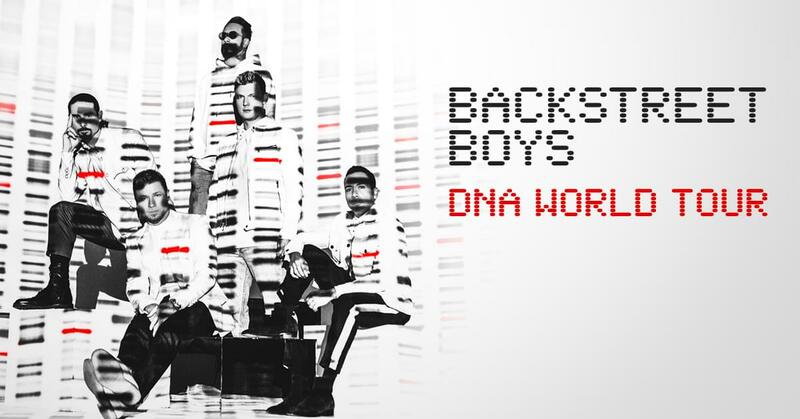 BSB analyzed their individual DNA profiles to see what crucial element each member represents in the group’s DNA – to see how their individual strains, when brought together, create the unstoppable and legendary Backstreet Boys. Beginning on May 11th, the group will set off on the DNA World Tour – their biggest arena tour in 18 years. Produced by Live Nation, the guys will perform all over Europe and North America over the course of three months, headlining venues including Capital One Arena in Washington DC, United Center in Chicago, the O2 Arena in London, and PNC Arena in Raleigh on August 20. Tickets will go on sale November 14th at LiveNation.com. Every ticket purchased to the North American headlining tour will include one (1) physical copy of their 10th studio album DNA.